The Lamborghini Huracán Spyder uses special aerodynamic features to keep the cabin quiet during high-speed driving with the cloth top down. Lamborghini unveiled a new convertible sports car Monday night in Frankfurt. 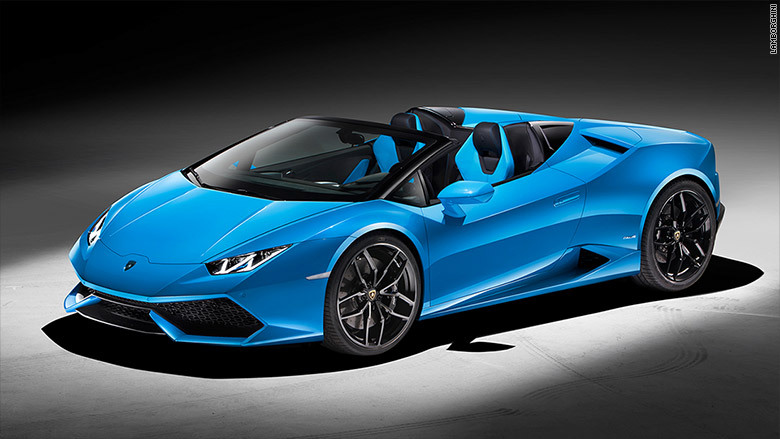 The Lamborghini Huracán Spyder, an open-topped version of the brand's "entry level" sports car, made its debut ahead of the Frankfurt Motor Show, which kicks off Tuesday. 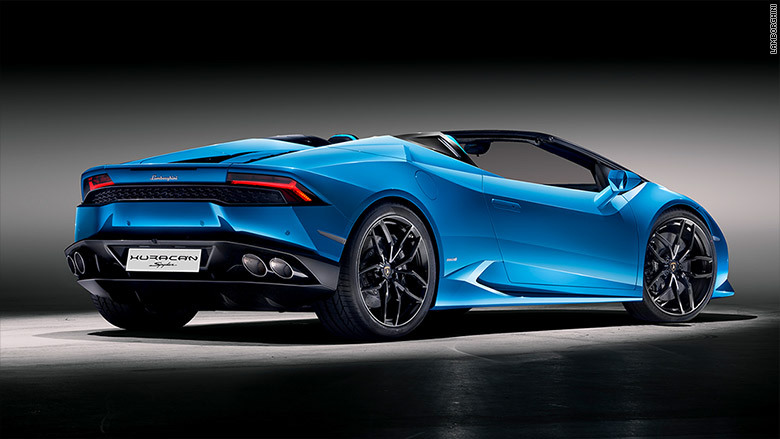 With the same 610-horsepower V10 engine as the hardtop car, the Huracán Spyder can go from zero to 60 miles an hour in 3.4 seconds, according to Lamborghini, and has a top speed of 201 miles per hour. The Huracán Spyder's folding cloth top can be opened or closed in about 17 seconds at speeds of up to 31 miles per hour, and the car's rear window can be raised or lowered separately from the roof. It has a lightweight chassis made from aluminum and carbon fiber, while the outer body is made entirely from aluminum. 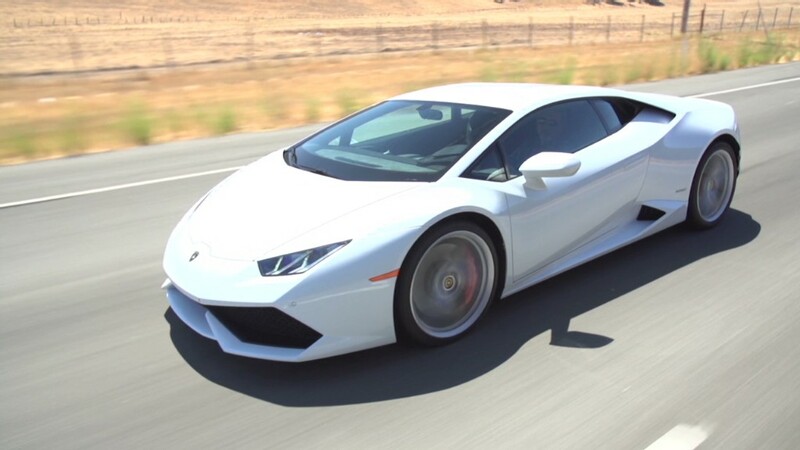 The Huracán coupe is Lamborghini's most popular model, and starts at under $240,000. When it goes on sale in the United States early next year, prices for the Huracán Spyder will start at just over $260,000. Unlike most other high-performance automakers these days, Lamborghini doesn't use superchargers or turbochargers to boost the power output of its engines. To save fuel, the Huracán's big V10 shuts down altogether when the car stops and, when full power isn't needed, half the engine's cylinders can be turned off. The Huracán has a 7-speed automatic transmission and full-time all wheel drive. It has three selectable driving modes from "Strada," for ordinary street driving, to "Corsa," for high-performance track driving. Lamborghini is part of the Volkswagen Group, which also makes Bugatti, Bentley and Audi cars.